A kind of "public dreaming" takes place via the music of these poems--a music as likely to visit the long-dead ghosts of the Kwakiutl tribe as Gianni Versace, and as interested in the baby seat of a car as it is in a boxing ring. 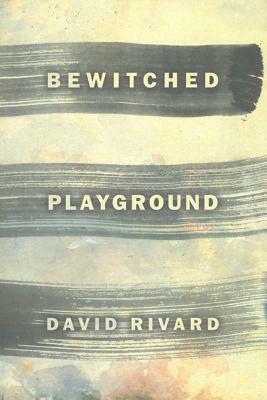 Building on the critical success of David Rivard's two earlier, award-winning books, Bewitched Playground widens both his emotional aperture and formal range. Rivard calls it "my book of domestic voodoo"--not a book about having a child, but written out of a life touched by a new intimacy, and tuned-in to an unwilled strangeness, a fluctuating gravity. Here, the unconscious forces of the imagination intersect with the everyday, in a crossroads at the bewitched playground. These stylistically innovative poems are full of the rediscovery that the world teems with "otherness," with freshness and surprise. David Rivard's Wise Poison won the James Laughlin Award of The Academy of American Poets and was a finalist for the Los Angeles Times Book award. His book Torque won the Agnes Lynch Starrett Poetry Prize. Rivard teaches at Tufts University and lives in Cambridge, Massachusetts.